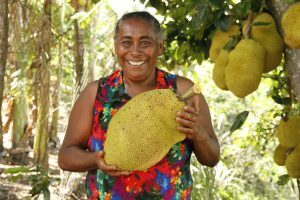 Women in Brazil build autonomy with agroecology – Cultivate! 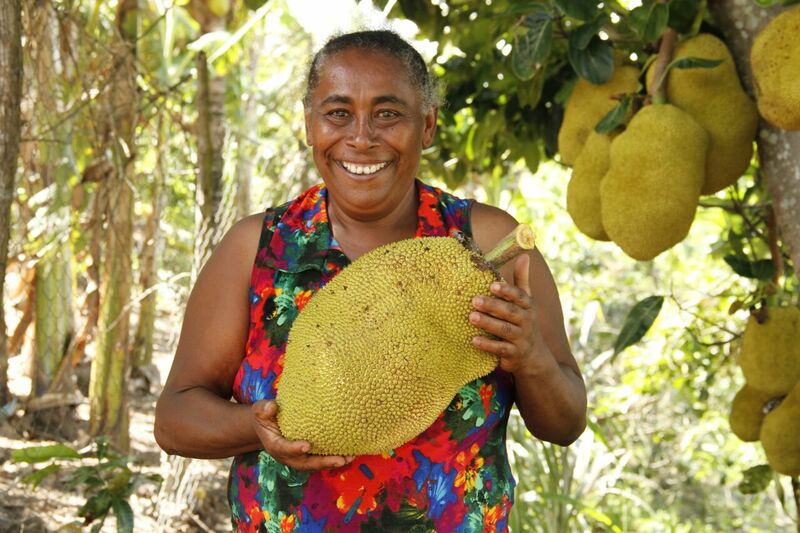 A strong network of female farmer-innovators in Paraíba, Brazil has been driving fundamental change in the lives of hundreds of women. Collective learning among farmers has brought rural women out of their isolation and into positions of leadership. The success of the women’s movement lies in its link between experimentation with agroecology and reflection on inequalities. 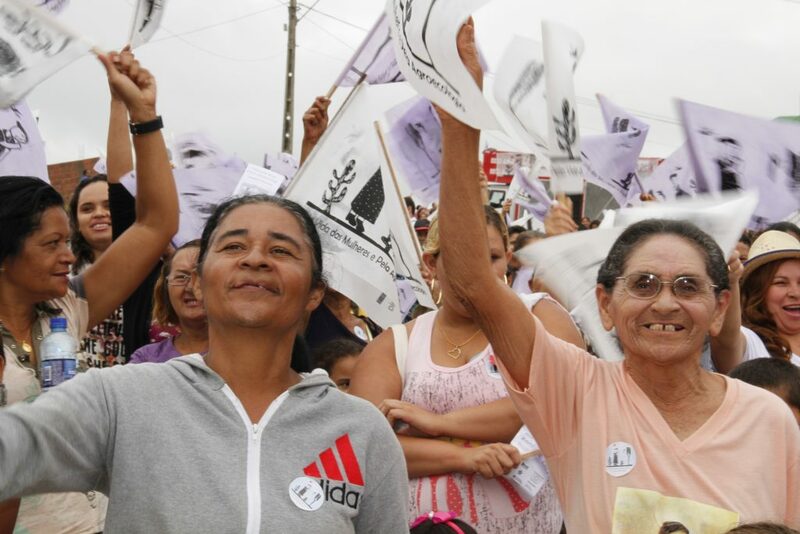 “I am not a slave, nor an object – I have no owner, I am not a piece of property – I want freedom to be a woman…” These are the chants of over 5000 women smallholder farmers from the Borborema Pole farmers’ union and from other regions in the state of Paraíba in Brazil as they march through the city of Lagoa Seca in March of each year. Their songs have become the marching call in the struggle for autonomy, for an end to all forms of oppression and violence against women, and in support of agroecology. 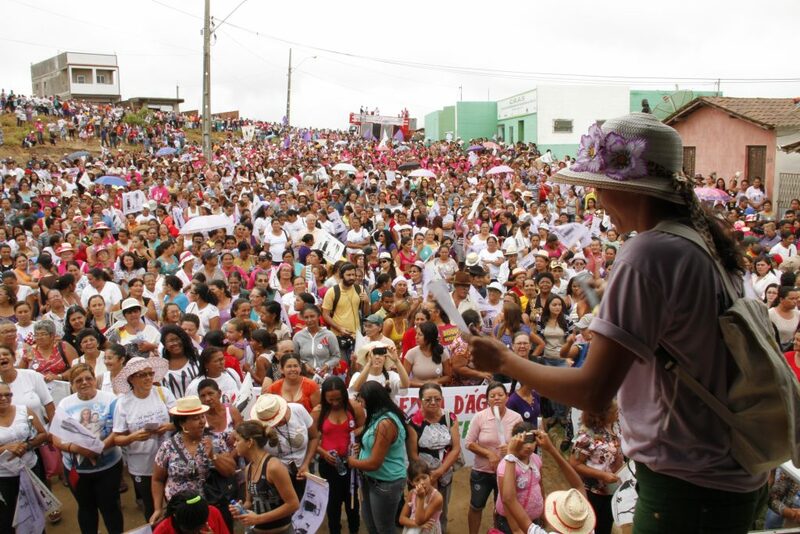 Many dressed in white or in lilac, with flags in hand and hats on their heads, the women take to the streets as part of the 6th March for the Lives of Women and Agroecology. They share experiences and discuss different forms of violence that they experience. The annual marches are organised by a strong network of female farmer-innovators who have been driving change in the lives of hundreds of women, and creating a development plan for the region based on agroecology. The Borborema Pole is a forum of rural workers’ unions and family farming organisations covering 14 municipalities and more than 5000 families in the semi-arid Borborema region. From the early 2000s onwards, the Borborema Pole and AS-PTA, our NGO that is active in the region (and also a part of the AgriCultures Network) began to devise collective, local development plans based on strengthening family farming and the promotion of agroecology. Methodological principles of building on local knowledge and collective learning among farmers lie at the heart of our work. Through these principles we have supported family farmers in developing numerous agroecological innovations to overcome technical, economic and socio-organisational barriers over the past 15 years. Despite successes, however, a patriarchal culture remained dominant both within the family and in organisations in the region. This made women’s knowledge, their practices, and their importance for the farm household invisible. Their capacities were not fully being put to use. The inequality between men and women was a barrier to the full implementation of agroecology across the region. In 2002, the gender question came to the fore. A group of women began reflecting on what they were doing on their farms and in their daily lives. Through this participatory appraisal the women began to work towards a collective understanding of their role in the family farm. An important realisation was that most of their activities were concentrated within the house and its immediate surroundings. This space was coined Arredor de Casa, which literally translated means ‘around the house’ and refers to the yard, the outdoor space around and pertaining to the house. The women identified the different components of their yards, the multiple functions they have and the significance of their own knowledge and practices in relation to that space. They found that it is an important space where the women are involved in many farming activities: they effectively re-use water, preserve medicinal plants, and test new seed varieties. The crops and small livestock they produce there, moreover, form an important contribution to the household economy. The women also started to identify the main challenges they faced and how they could overcome them. A major challenge was land. The area of the Arredor de Casa was under pressure. Borborema is an area with a high concentration of family farms and subject to land fragmentation due to inheritance. As the land available was getting smaller, the fertile and humid land surrounding the houses was largely being replaced by fields in which men would plant beans and maize. Conflicts of interest over these areas of land resulted in an increase in the economic and social vulnerability of the women, leading to extreme situations of subordination, dependence and increased poverty. To make their work more visible and valued, the women organised a Regional Seminar on Arredor de Casa. Over 150 women participated, and successful Arredor de Casa practices were shared. They also presented their experiences at a meeting of the Borborema Pole and this led to the establishment of the Borborema Pole Committee for Food and Health. The committee went on to organise, implement and monitor a training programme for women farmers. A movement to revitalise and reorder these spaces was taking shape. Farmer-to-farmer exchanges based collective learning gave rise to a network of over 1300 women farmer-innovators. The committee acted as a catalyst for farmer-to-farmer exchanges, based on the methodological principles of collective learning that are deeply engrained in the work of the Borborema Pole. This gave rise to a network of over 1300 women farmer-innovators. 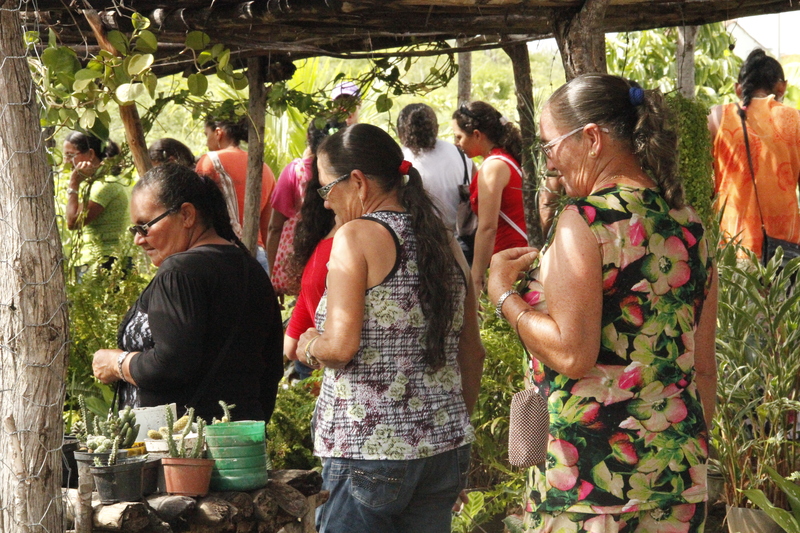 The women addressed specific technical problems with their own solutions based on principles of agroecology, and visited other farmers both from within and outside their municipalities. The Committee for Food and Health supports women in adapting and implementing the solutions they indentify for their own farms. The women also carried out specific studies on medicinal plants, small livestock, native fruits, poverty alleviation and economic monitoring of home farms. This was key in unearthing and organising the wealth of knowledge of agroecology held collectively by women – often diffuse, fragmented and undervalued, even by the women themselves. Making this visible and explicit motivated many women to experiment more. The exchanges were also vital in overcoming the isolation that many women experienced. They could now meet and get to know each other, allowing for the gradual removal of cultural barriers which had ‘tied them to the kitchen.’ Through these meetings a collective identity was being forged, that of women farmer-innovators. Two major perceptual shifts were fundamental for the consolidation of this process. The first was the recognition of the backyard as an important subsystem within a family establishment for its potential to generate wealth, food security and sovereignty and wellbeing for the family. The second was that women gained more both public and private spheres as they reclaimed control of the backyard areas and were successful with their agricultural and economic undertakings. The Committee for Food and Health established Community Rotating Solidarity Funds (RSFs) to support women in applying their learning and ideas from the exchanges at home. The RSFs are based on the principles of reciprocal exchange and mutual support that have long existed in the practices of rural communities in the region. Now, a growing number of women farmers from over 90 communities are part of Solidarity Funds. When women left the house and returned with a concrete way of improving the wellbeing of the family, their relationship with the other members of the household changed. Suddenly women could overcome their financial limitations and implement change. Furthermore, they learned to self-organise to overcome inequality and oppression. At times, their journey led them into conflict within the family, revealing the oppression and subordination of women of the patriarchal culture in which they live. This gave rise to further analysis of gender inequality by the women themselves. It became clear that progress towards a political strategy for women to reclaim territory could not be achieved without understanding and challenging the inequality between men and women. At the end of 2007, AS-PTA and the Borborema Pole began to look for ways to make these changes in the lives of women permanent. Three women farmers who had taken on leading roles in the promotion of agroecology shared their personal stories in the network of women farmer-innovators. These stories opened the doors for other women to express the lack of recognition for their work, and the inequalities with respect to the use of space, time and money that they experienced, many for the first time. Through this sharing, the group of women were filled with courage to overcome subordination. Pathways to new forms of leadership emerged. From this point forward, gender equality was mainstreamed across all aspects of the work of the Borborema Pole and AS-PTA. The stories catalysed action, not only the within the Pole, but countrywide when they were shared by the Brazilian National Articulation of Agroecology (ANA). When ANA began to promote this work, it was an important tipping point for selforganisation of women. With the annual March for the Lives of Women and Agroecology, the women’s movement is now more visible than ever. Participation grew from 700 women in 2010, to 1800 in 2011 and 5000 in 2015. In the beginning the majority of the women joining the March were farmer-innovators. Now participation is much broader. Events at the Marches focus on how to combat the cultural barriers that uphold the inequality between the sexes precede each march. It is clear that the success of the women’s movement lies in creating a direct link between agricultural experimentation and reflections on inequalities. This generated new, accessible, and functional concepts of roles that helped both genders in family farming to flourish. One result of this work is that women now play important roles in the management of the Borborema Pole at the municipal, state and even national level, contributing decisively to the Pole’s political project. The leaders of the Pole say that “now is not the time to pack away our flags, the struggle continues every day.” With the aim of resolving conflicts, relationships between men and women are gradually evolving. It is fair to say that there is still a long way to go. Nevertheless, what matters is that these women are leaving their mark on the historical struggle for social change, in the struggle for the lives of women and agroecology. Adriana Galvão Freire (adriana[at]aspta.org.br) is the Technical Advisor of AS-PTA, a Brazilian organisation that supports family farming and agroecology.